One of the largest plant hire and building material suppliers in the Southern Cape. Transand was established in 1970 by the late Mr Charles Robertson and incorporated as a private company on the 4th of February 1971. They specialize in building- and construction material as well as plant hire. They trade as a modern company where employees hold a 26% shareholding through a workers trust. The company is situated on the Oudtshoorn Road (R328), about 3km outside Hartenbos. Main areas of operation are the Southern Cape district and goes as far as Plettenberg Bay, Beaufort West and Swellendam. Currently in control of the company is Billy & Charles Robertson and Richard Moiloa, each managing a different division of the company. The Transand Group employs about 300 people. Most employees are from Mossel Bay, Brandwag and Great Brak area and a large percentage has a service record of more than 15 years. Transand is well known and respected in its trade due to its commitment to provide excellent service at all times at the best price. Mr. Charles Robertson (snr) was a farmer with a love for yellow machines. He started Transand, only as a small company and it has grown into one of the largest plant hire and building material suppliers in the Southern Cape. 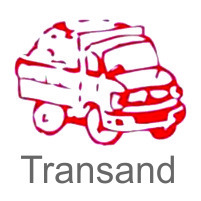 Transand’s client base includes Mossel Bay Municipality; Eden Municipality; Oudtshoorn Municipality; Hssequa Municipality; Transnet; local building- and civil contractors; farmers and private individuals, to name a few.